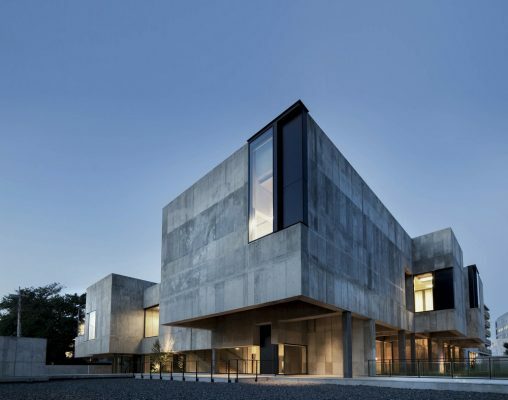 The RIBA Awards for International Excellence 2018 have been awarded to 20 exceptional new buildings in 16 countries, ranging from large urban infrastructure schemes to private homes; cultural destinations to civic spaces; educational buildings to places of worship. Gustavo Utrabo and Pedro Duschenes, founders of Brazilian architecture firm Aleph Zero, are the recipients of the RIBA International Emerging Architect 2018. 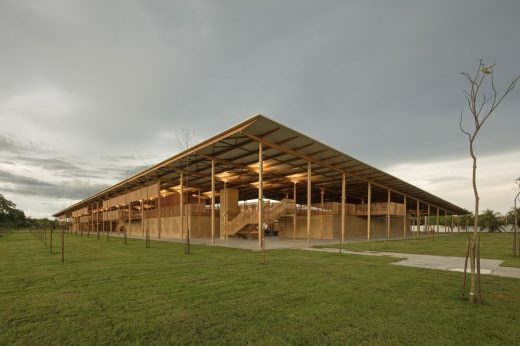 Their project, the Children Village in Formoso do Araguaia, Brazil, designed with Rosenbaum, is one of the 20 winners announced today. The Children Village provides boarding accommodation for 540 senior school children at the Canuanã School. Run and funded by the Bradesco Foundation, it is one of forty schools providing education for disadvantaged local children and is the first of their projects to use design to improve the quality of education. Aleph Zero operates in a range of areas, from the design of furniture, exhibitions, residential and commercial architecture, to urban-scale projects for both public and private sector clients. 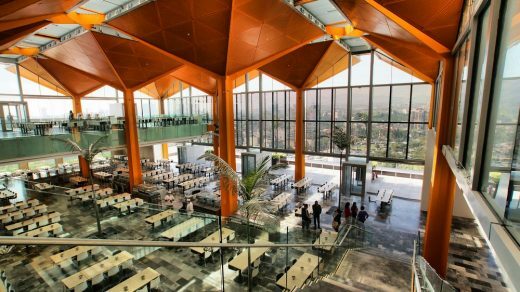 Constructed in prefabricated and reforested wood, Children Village is a powerful demonstration to the community of the importance of using of natural resources in a rational and sustainable way. The 20 winning projects announced today form the longlist for the RIBA International Prize 2018; the shortlist of four buildings will be announced in September 2018 and the winner will be revealed in November 2018. 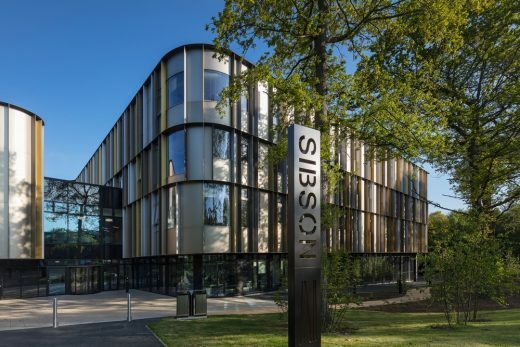 The RIBA International Prize 2018 will be awarded to the most significant and inspirational building of the year. The winning project will exemplify design excellence, architectural ambition and deliver meaningful social impact. 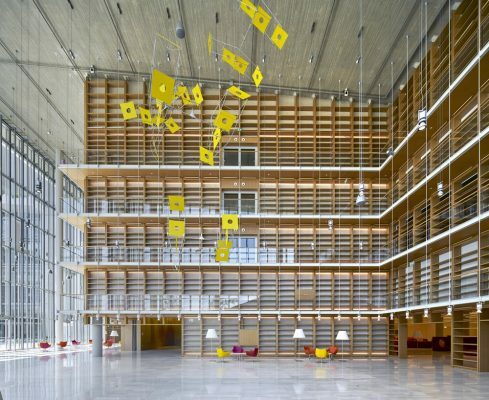 The RIBA International Prize is open to any qualified architect in the world. 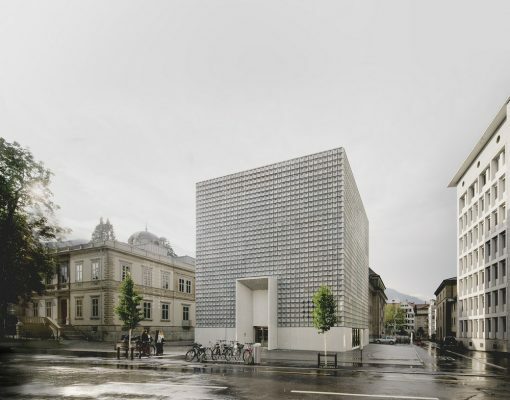 A beautifully crafted art gallery conceived as a bridge supported on a series of blocks. 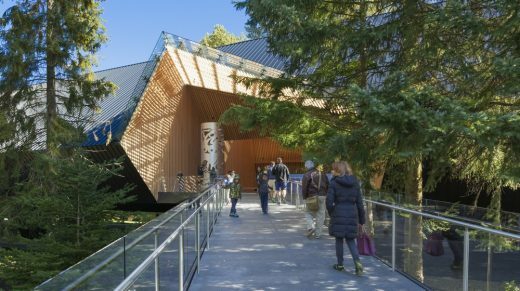 Using the site and climate constraints to inform the design, the Audain Art Museum exploits its beautiful forest setting. 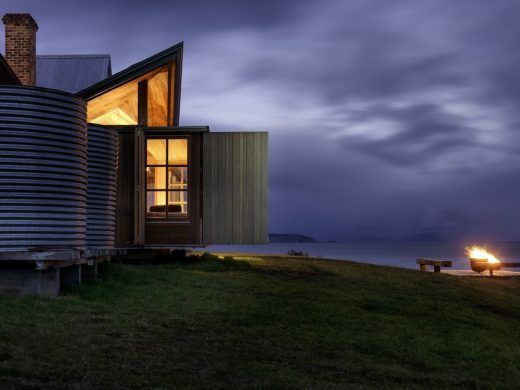 A new insertion for a 19th-century residence on an exposed cliff edge on Bruny Island, Tasmania. The finished dwelling offers offers a contemporary interpretation of the original vernacular. An isolated collection of buildings that serve as boarding accommodation for 540 senior school children at the Canuanã School. 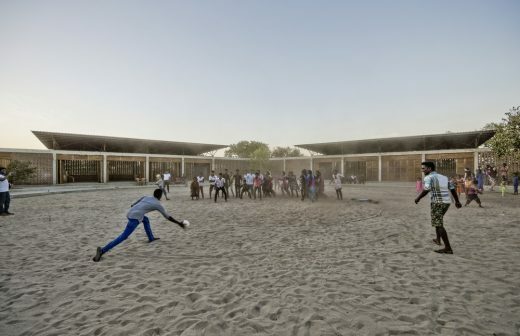 The charm and peace of Children Village conceals an immersive architectural process of understanding and applying vernacular techniques and materials, which has created an idyllic and home like environment for its young residents. 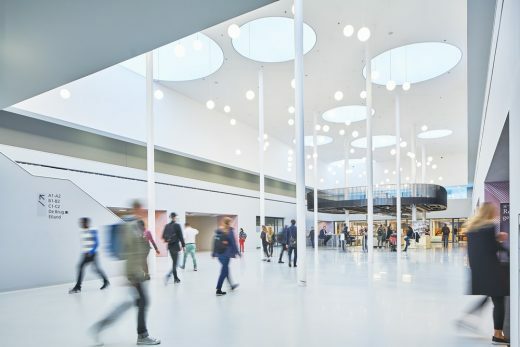 A striking pentangular assembly of buildings creating a ‘safe haven’ for learning and aligned around a generous and highly flexible courtyard. The Lanka Learning Centre is one of a series of post tsunami and post conflict low-cost facilities funded by donations, that provide opportunity, education and safety to their students. 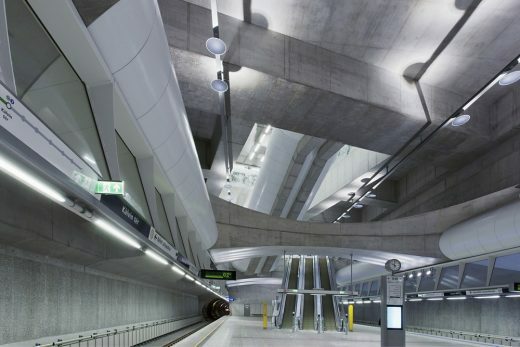 A new ten station underground line using the ‘top-down’ method of construction, the M4 Metro Line in Budapest is remarkable partly for its technical achievements, partly for its participatory qualities – the architects who won the brief shared it with their runners up – but mostly for the sheer joy and diversity of the completed stations which offer delight and efficiency in equal measure. A memorial situated at the entrance to Israel’s National Cemetery. 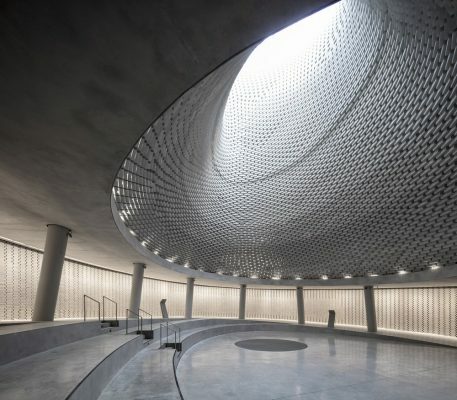 The Mount Herzl Memorial Hall is comprised of a terraced hill; a correspondingly terraced sunken entrance court; and large cave-like interior centred upon an undulating light-flooded chamber, creating a calming and peaceful atmosphere. 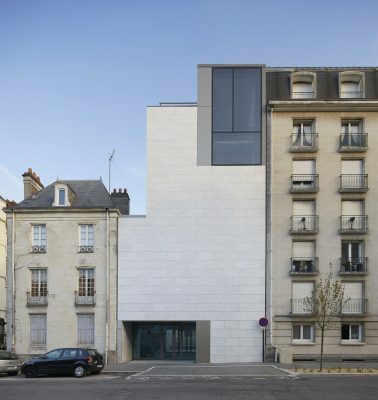 An elegant and beautifully proportioned alteration and major extension for Nante’s Musee d’Arts. The gentle and restrained weaving of old and new within the 1900 Beaux Arts Palais creates a highly coherent and refined facility of real intelligence and craft. A new 7,000m² museum for contemporary art, sitting within the grounds of an early twentieth century, ‘Dutch Arts & Crafts’ countryhouse. The roof/screen is the raison d’etre of the design; 115,000 aluminium pipes, all angled away from direct sun, allow an even daylight cascade into the gallery spaces below. A privately funded mosque built on the outskirts of Istanbul. 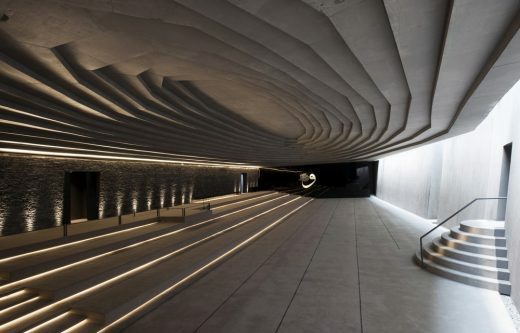 The Sancaklar Mosque is an uplifting reimagining of a mosque, featuring an unorthodox, contemporary design, and an interior layout which reconceptualises liturgical conventions. 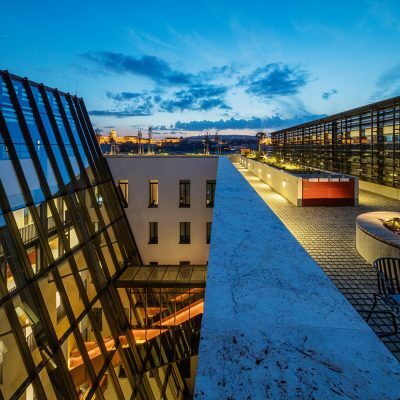 Gifted by the Stavros Niarchos Foundation, this project combines the new National Opera House, National Library and park. The diagram of the scheme is formal and dramatic, somewhat related to the nearby Acropolis, with the park rising up over the buildings to provide a summit surmounted by a distinctive floating roof – a new landmark in Athens. A architect’s studio and dwelling located on a quiet waterside site in Colombo. 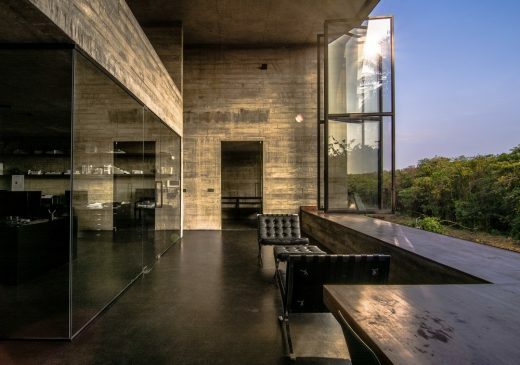 Built over four floors, the Studio Dwelling at Rajagiriya is organised on a simple grid with numerous idetails and events combining to to create an ingenious, crafted ‘box’. 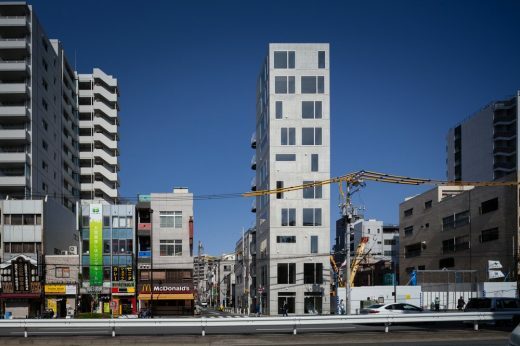 A minimal residence in Japan, the Tatsumi Apartment House is a direct resposne to the needs of a fast paced and dynamic population. There is a compelling logic to the use of a limited amount of space that resolves difficulties and creates comfort and calm. 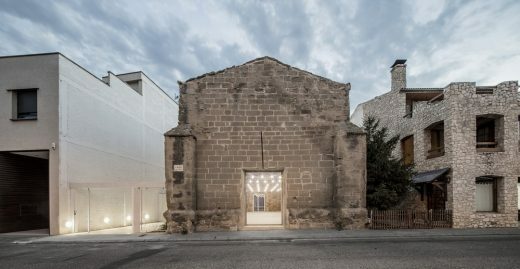 A 13th-century parish church – partially damaged during the Spanish Civil War – that has been repaired, reconstructed and brought back to life as a much valued community facility for social and cultural use. 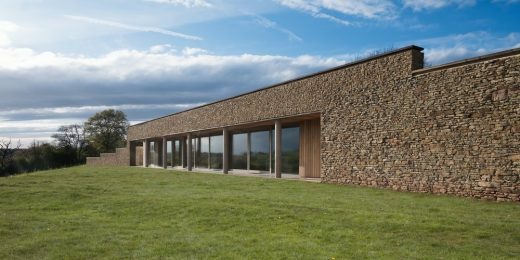 The sensitive handling of the original building and the creation of a new shell to incorporate a flexible space demonstrates a real craft and care steeped in understanding. 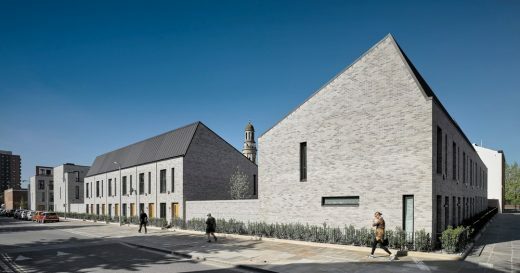 This virtuoso piece of architecture has an august almost village like quality with its independent teaching spaces, clever accouustic treatments and neat communal spaces. It adroitly allows for flexibility, adaptation and improvisation by its students whilst retaining an order and formality. Two somewhat ordinary buildings have been stripped out, re-purposed and weaved back into the centre of Amsterdam with purpose and conviction. Spanning the canal, the University is both bold and at times restrained, creating new views and routes within and around it. 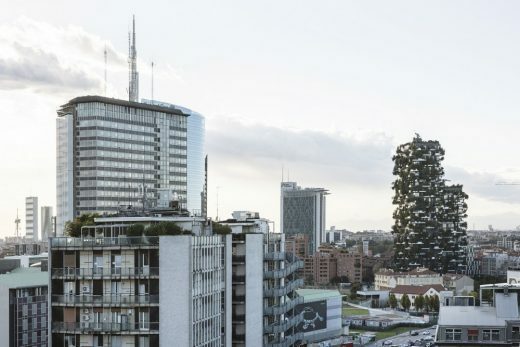 Combining biodiversity with bustling urban life and creating its own micro-climate in the process, Bosco Verticale deals with density and air quality and in doing so creates an architectural botany that is both compelling and striking. 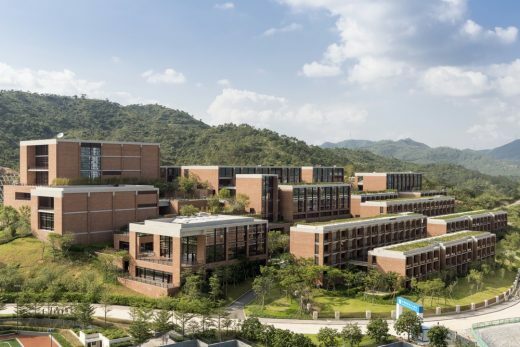 At 55,000m² this vast campus draws heavily upon the local building material – brick – and does so ingeniously, not only in the way it has been used, but in the effect it generates. Its warmth and character combine to create an overall impression of great style and composure.